Your treatment center must keep pace with your workflow. Our new air-air suction system delivers constantly high suction throughput, keeping up with you. Looking for a solution with extensive suction power? We have designed the FONA 1000 S also with wet and dry suction systems. Dry suction system comes handy for up to 2 treatment units while wet suction is suitable for larger installations. Limited noise and maximized performance is always there for you. 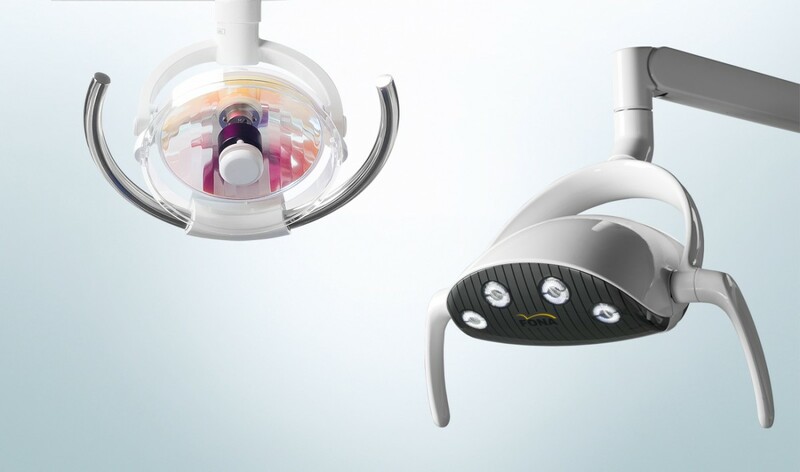 Well balanced operating light, delivering clear view of treated tooth, and providing pleasant light for you and the patient - that is FONA Halogen light. Looking for the latest technology to achieve best visibility and treatment results? FONA LED light, with its modern design, emphasizing the natural light perception and limiting shadows in working area, is the choice for you. Both Halogen and LED light switches automatically off during chair movement to protect patients eyes. 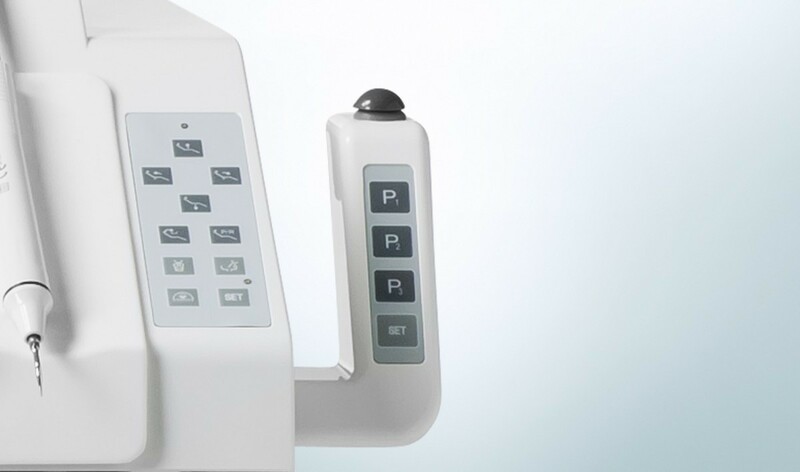 Multimedia system, mounted on the operating light arm, brings your patient communication to the next level. 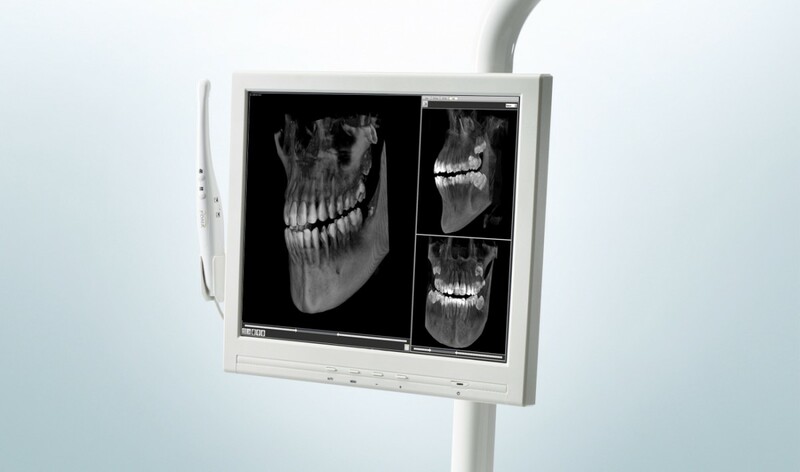 FONA Intraoral camera delivers high quality images in single or quad acquisition mode. 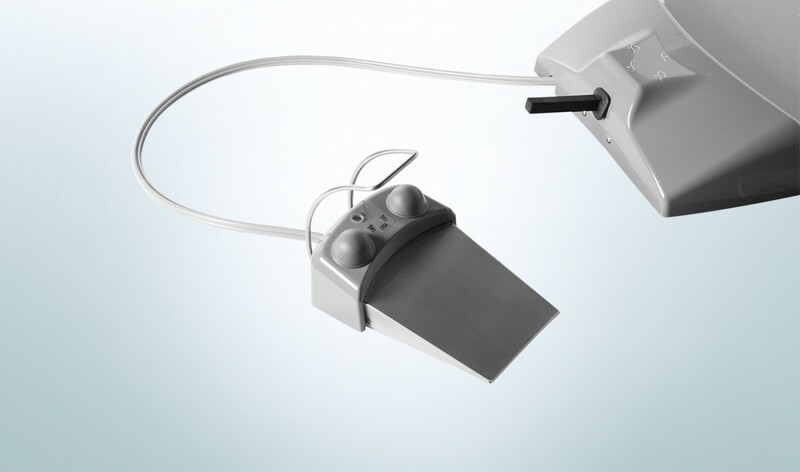 Its ergonomic double side acquisition button, and support of PC connection via build in USB connector, makes it a practical tool for better communication with the patient and treatment history tracking. 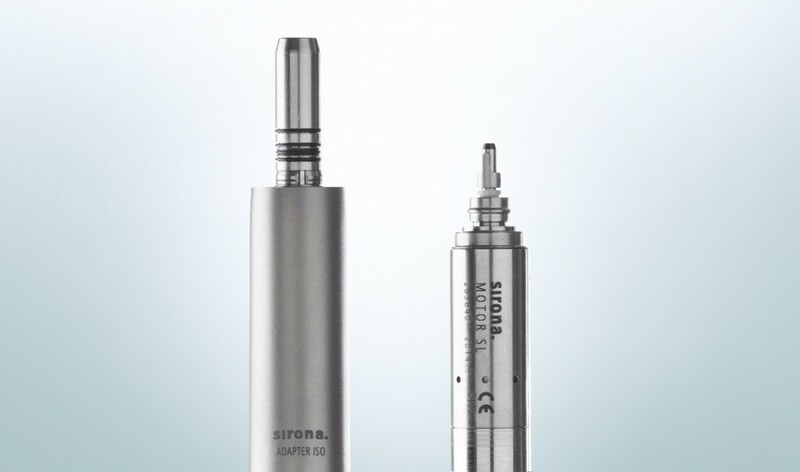 Powerful and durable Sirona SL motor with light delivers constant torque and is the perfect solution for applications requiring high performance and precise control. It is equipped with electronic compensation and water regulation on the hose for even more precision. Removable and sterilizable ISO adapter, with built-in anti-retraction valve, is compatible with all straight and contra angle handpieces with ISO interface. Dedicated control panel with reverse and light switch includes a display and two user programs presetable between 2.000 and 40.000 rpm. Proportional speed regulation is ensured by the foot control. All the power under your control. 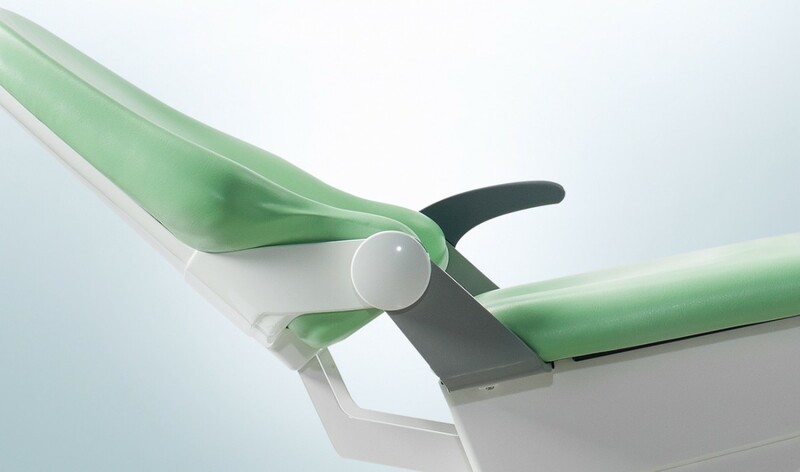 With left armrest always as a part of standard equipment, right armrest provides additional comfort to your patients. Compact design for easy patient access and rigid build for safe grip. Always at hand. 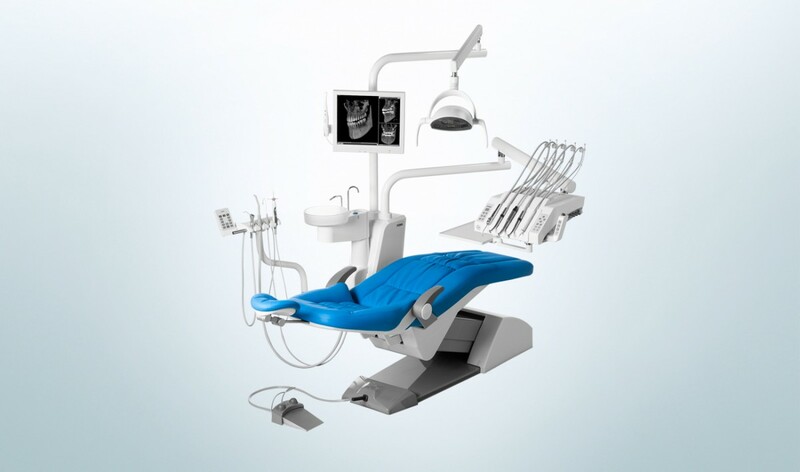 Provides maximum work comfort for the dentist and assistant. Stable stool base is mobile on 5 castors. Height of seat can be easily adjusted. Backrest angle of standard stool is also adjustable and lockable. Basic stool backrest can rotate 360° for high comfort during treatment. 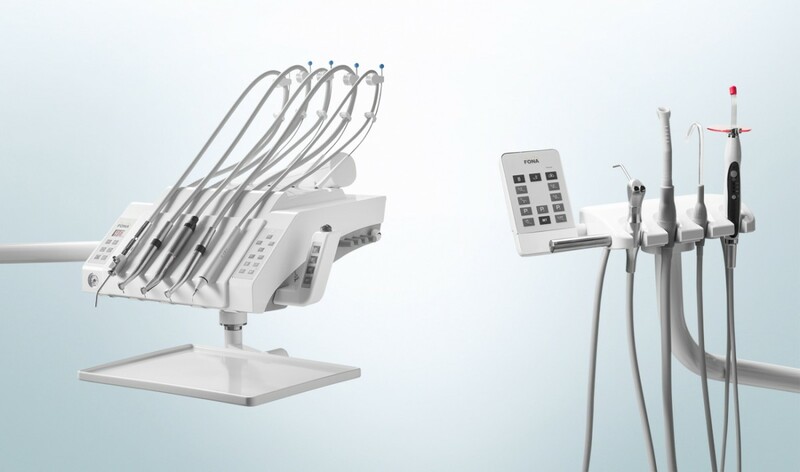 Whip arm or hanging hoses dentist element may be equipped with up to 6 instruments including electric motor, curing light, scaler and high speed handpieces with light. 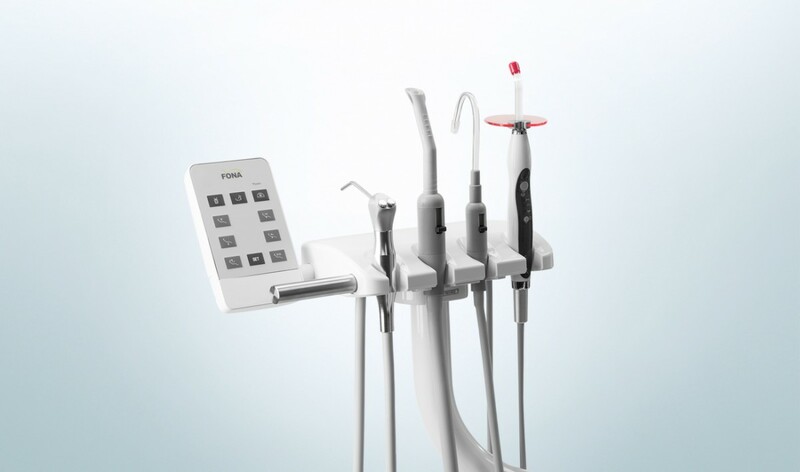 Comfortable and hygienic cooling water and scaler regulators on side of dentist element, 3 programmable chair positions and electric motor control panel with display – all this at hand just when you need it. Enhance the way you work with your treatment unit. Assistant element can now be equipped with up to 4 instruments and a control panel. All treatment unit functions are available to be used by the assistant or dentist working in 12 o'clock position. FONA 1000S comes equipped with proportional foot control for precise speed regulation of rotary instruments. It not only allows to regulate your instruments, but also turns the cooling water on and off and triggers chip blowing. Thanks to the built-in foot holder it is easy to re-position and the enhanced stability of the switch provides additional ease of use. 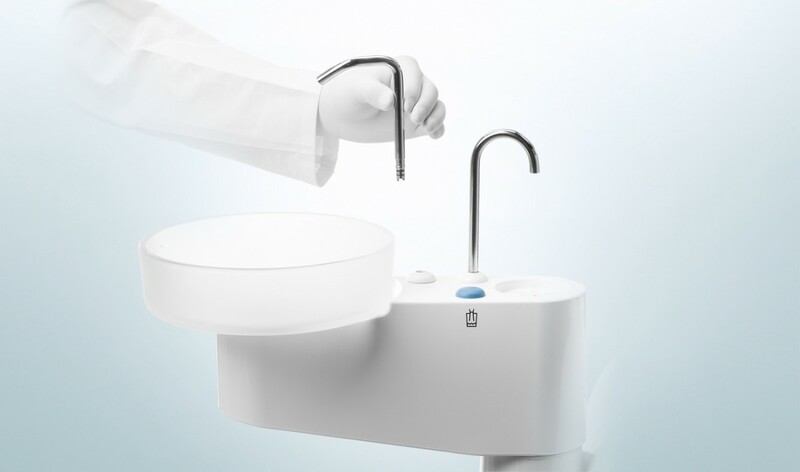 All surfaces are easy to access and clean to allow optimal hygiene management. Touch-less cleaning of suction filters and hands-free control of the chair further support easy maintenance. Durable stainless steel cuspidor rinsing and cup filling outlets can be sterilized for complete hygiene. 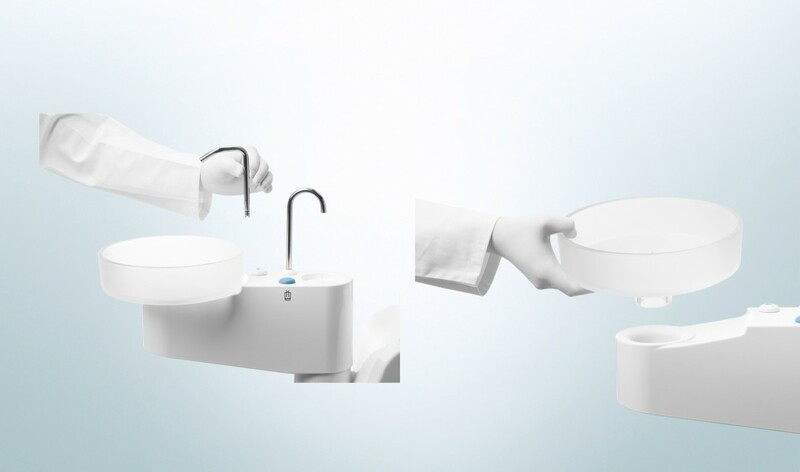 Also the detachable cuspidor bowl can be washed and disinfected after each treatment. Working should not be painful. We want you to work with ease and comfort. With the whip lock system your wrist will rest during treatment, so that you can focus on your patient. Well balanced instrument is the key to flawless results. Work faster work better and work comfortably. You can be sure that the water, air and electricity are all switched off with a flick of a single switch. With our unique main switch concept you protect your practice or clinic from flooding and additional power consumption. Chair can be easily and quickly positioned using the intuitive 4-way joystick. It allows you to adjust the chair height and backrest position. The joystick is optimally located for immediate reach and can be operated effortlessly with only one finger. Developing FONA products we always focus on the safety and comfort of the user and patient. 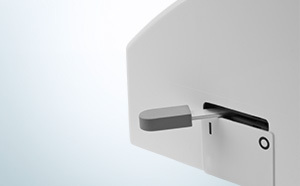 Each chair is equipped with a chair instrument lock, preventing accidental chair movement during the use of instruments. Warm water makes the rinsing more comfortable thanks to the build in heating for cup filler. Left armrest is always a part of the chair and helps to stabilize the position of patient, while providing a more secure feeling. Your health and comfort is our concern, so whip arms are always equipped with the lock function. Well balanced instruments help to minimize your wrist tiredness. 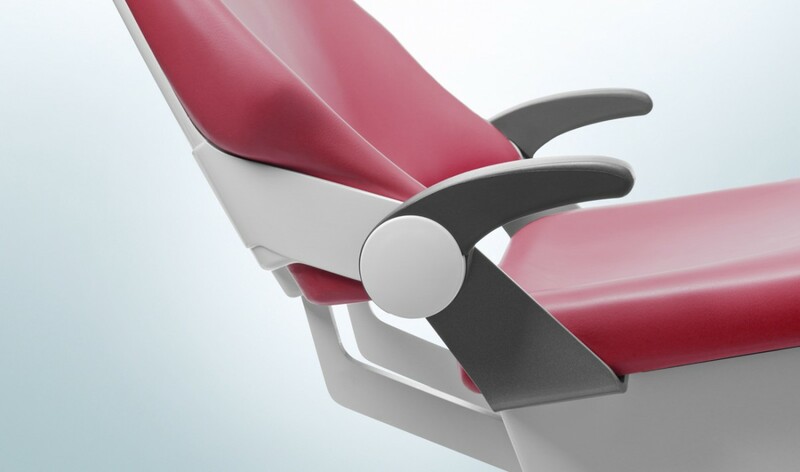 Built-in chair safety anti-collision system protects you during treatments. Chair movement is locked during instrument use to protect the patient. On top, whenever you need to stop the chair movement, any control button or joystick acts as an emergency stop. Fast positioning, ergonomic one hand operation and extremely stable patient head during treatments. The anatomically designed headrest is ready to deliver stability you need during treatments even with children and disabled patients. Assistant element, designed for either 2 hand or 4 hand treatments, is easy to reposition for unrestricted patient access. 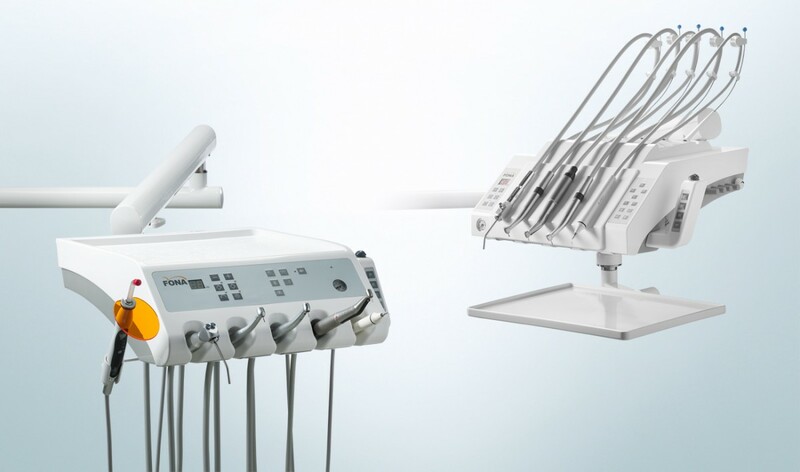 Equipped with up to 4 instruments, is always ready for all types of treatments. 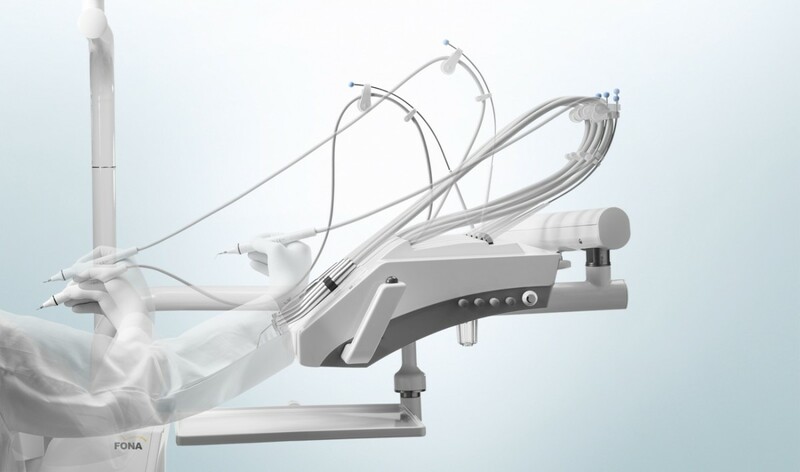 Access to patient is easy thanks to the double articulated assistant arm. Turning force is adjustable at two joins to optimize the movement for precise working positioning. 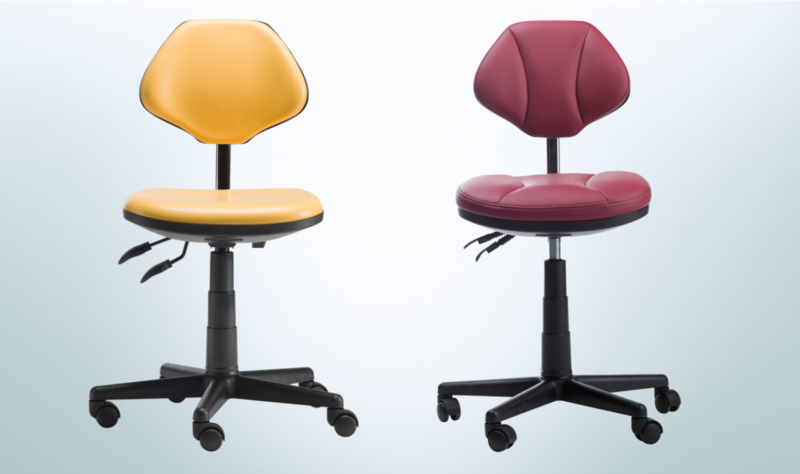 Safety anti-collision system protects your chair operation during patient positioning. Dentist element, equipped with German Baustein valve system, is optimized for high power turbines. 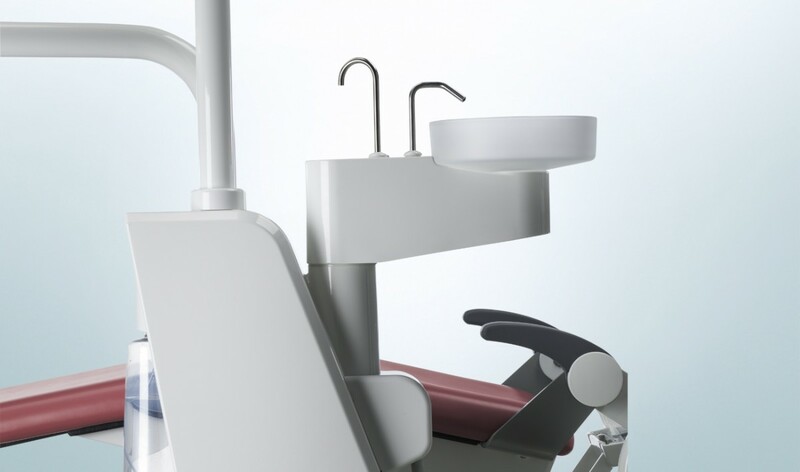 Sirona E-motor with light delivers performance, always when you need it. In addition the new suction filter system is there for constant high throughput, keeping up with all your treatments. 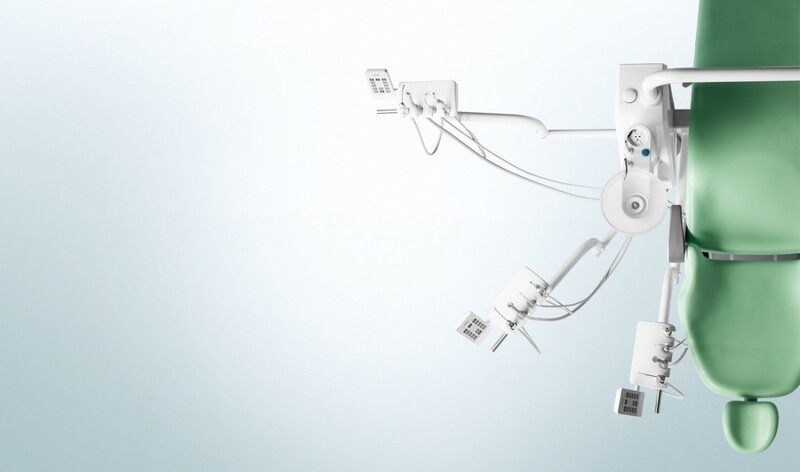 Controls for all treatment unit functions are intuitive and within easy reach. 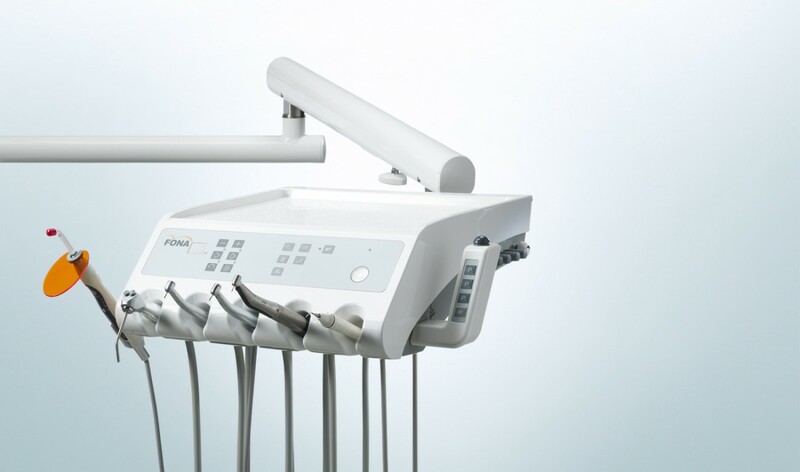 Ergonomic control panels on both dentist and an assistant element allow a streamlined workflow. All the main functions can be preprogramed according to your preference. Positioning of the patient with the foot or the hand joystick is simple, fast and ergonomic. Also returning to your favourite working position has never been easier. Chair returns automatically to the last working position with just a press of a button. This function may be used for both, the spit and patient entry positions.